We’ve all been there – spending hours in the mirror trying for find the perfect eyebrow shape. It can be incredibly difficult to do, especially if you are following the sage advice of many makeup artists – “Your eyebrows should be sisters, not twins”. While it may seem an impossible task, we’ve got a few beauty tips and tricks for how to shape eyebrows with makeup so you’re always on fleek. Before you can even think about adding in makeup and creating a unique shape to your brows (that you will probably end up changing every day), you have to start with a pair of clean, symmetrical brows. 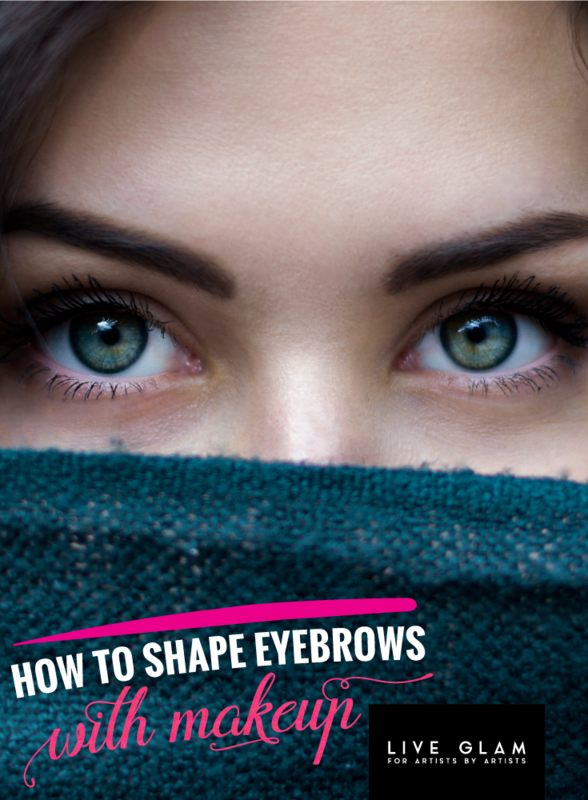 Whether you get them waxed, threaded, or use tweezers at home, make sure you find a shape that you like. Maybe you prefer thin brows with an arch, or thicker straight brows. 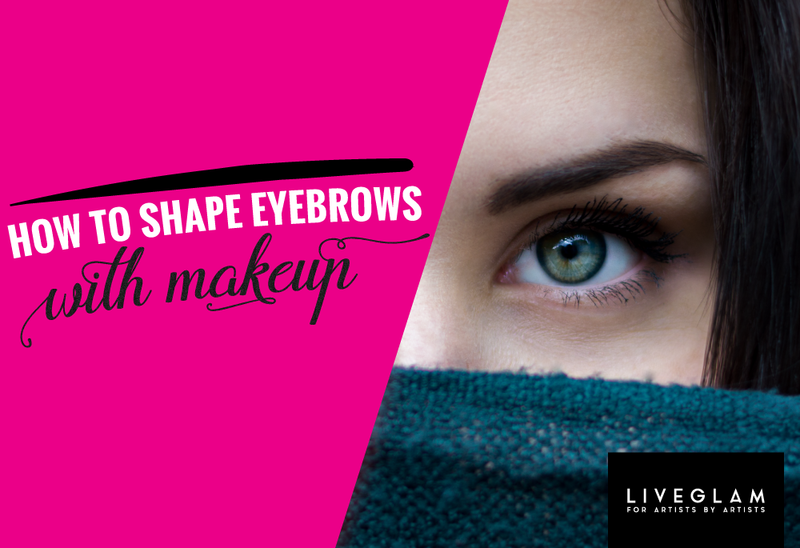 Whatever the case, clean up your brows and give them the base shape that you are looking for – just make sure they are as symmetrical and identical as possible! As with all makeup application, you need to make sure your eyebrows are primed and ready to be made up! Wash your face and give your brows a quick scrub. This step is especially important if you’ve just had them shaped – you want to make sure you get rid of any dead skin that might have come up during your waxing and tweezing, and you also want to make sure you don’t have any loose hairs hanging around! After a brief scrub, prep your eyebrow area with a little moisturizer and some primer (just as you would do pre-foundation). After prepping your brows, take a concealer that is just slightly lighter than your natural skin tone and conceal the area of skin surrounding your brows. This how to shape eyebrows with makeup to conceal and redness or pigmentation, and will ensure that your brows really stand out. Next, take your brow pencil and slowly (and carefully) fill in your brows. For ideal results, make sure your pencil color is just slightly darker than your natural eyebrows, but not too far off from your natural shade. Once you’ve filled in your brows and figured out how to shape eyebrows with makeup in the way that will best suit you, it’s time to correct any errors and set your look. Take a Q-tip with makeup remover and smooth and tidy any edges that might have gone awry, or any smudged pencil that might have gotten on your forehead. Next, set your eyebrows using a translucent powder. Voila! Beautiful eyebrow makeup you can put together in a flash. While we know how amazing it feels to find that perfect brow shape that you want to come back to over and over again, we also think that experiment with slightly different brow shaping every now and then can help you keep your look fresh! So, what is your ideal brow shape and eyebrow makeup look? Let us know in the comments down below! Be sure to check out our Pro Eyeliner Techniques to compliment your new brows!